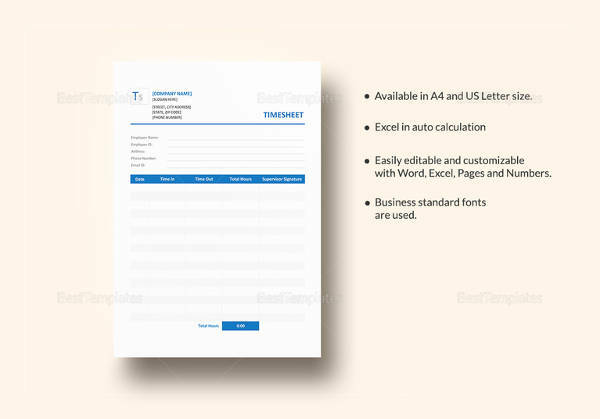 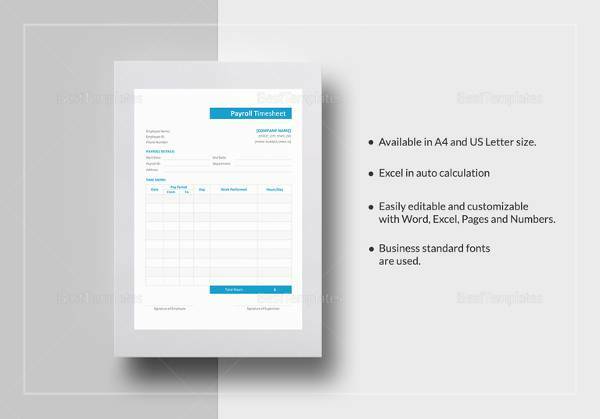 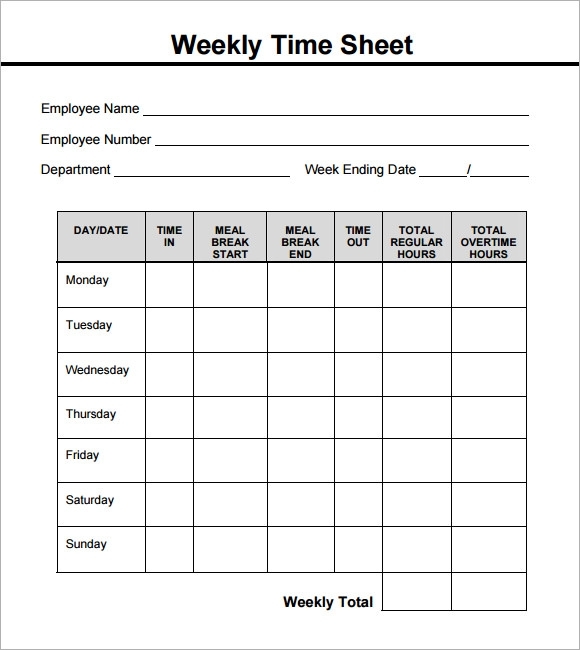 A sample timesheet template will help you take accurate recording of work data related to a particular individual or employee in your organization. 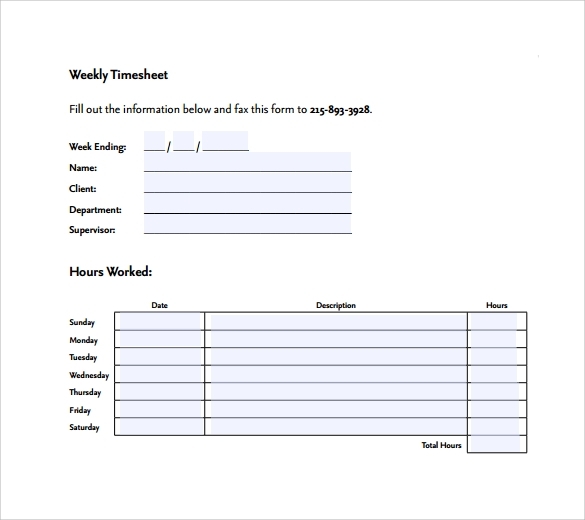 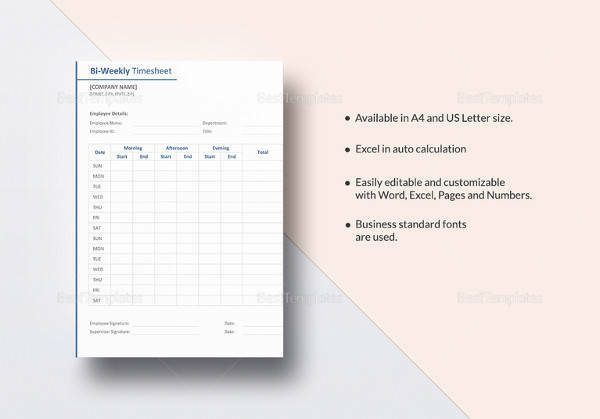 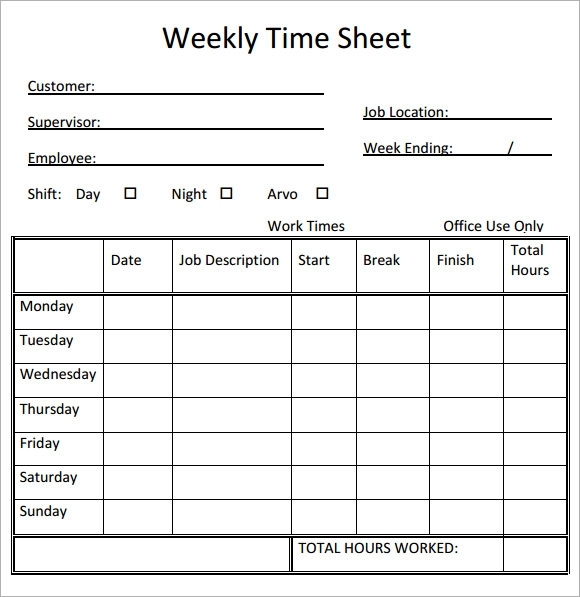 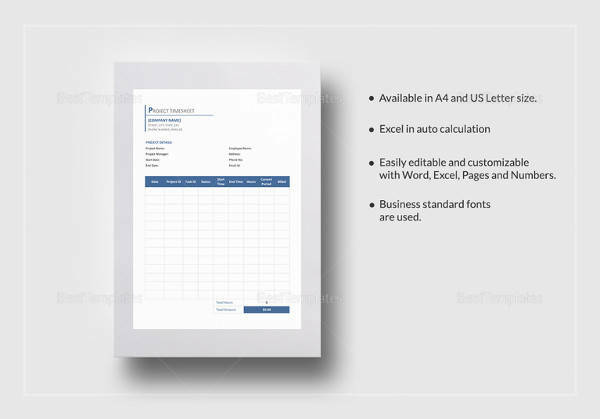 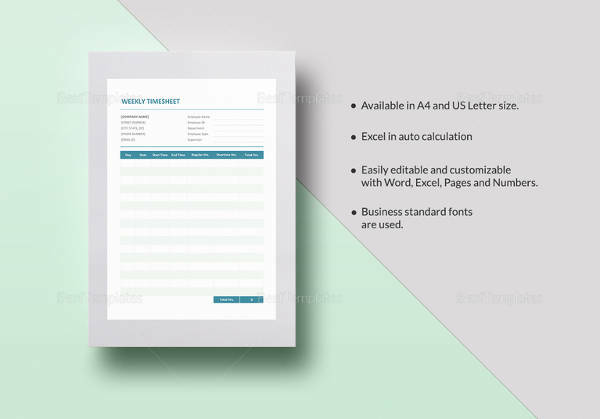 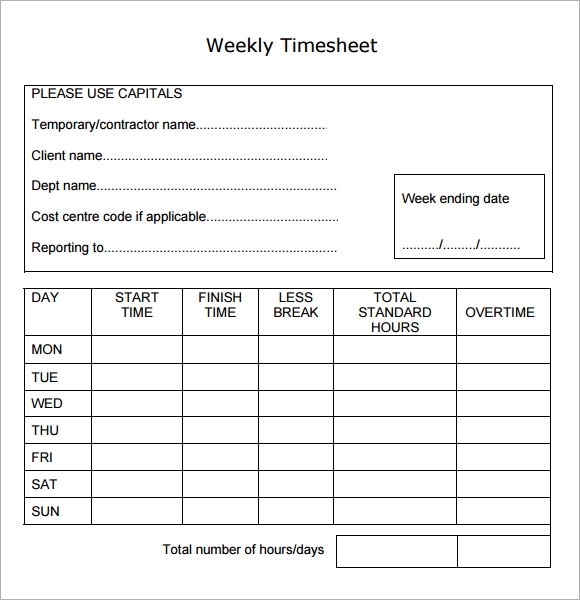 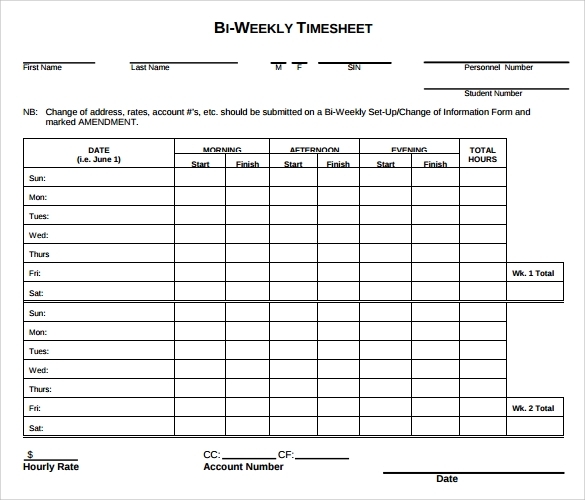 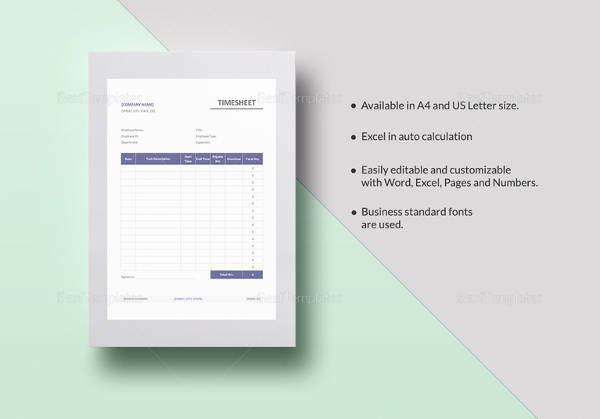 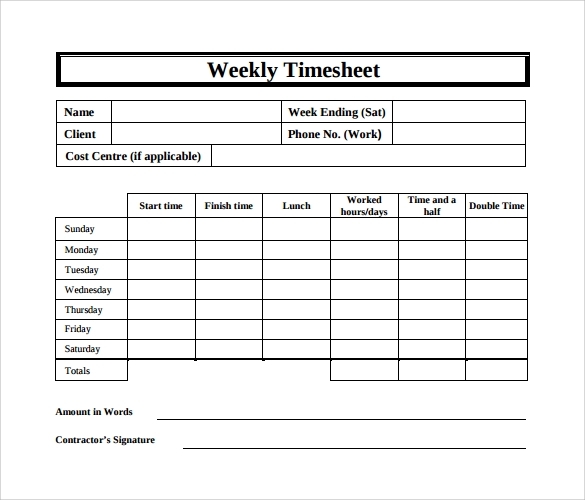 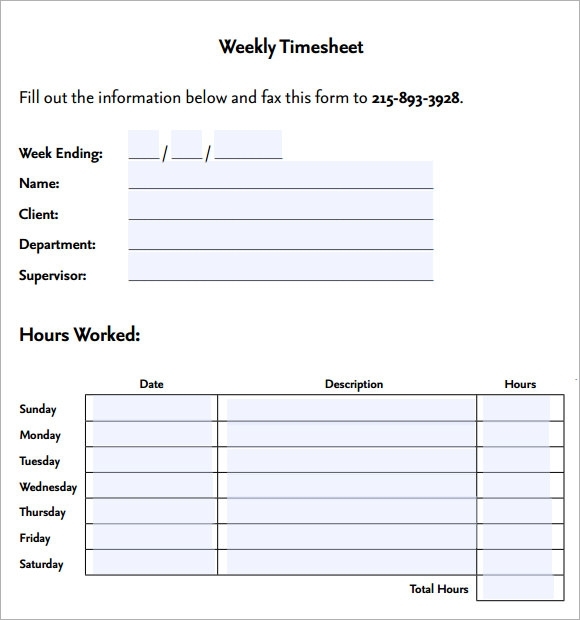 Usually, the main objective of the template is to make it possible for you to record a 7 days working time of an employee; this should include the starting time, the ending time as well as the amount they are going to be paid.The weekly Timesheet Templates are an important piece of premade tools aimed at helping to reduce your workload. 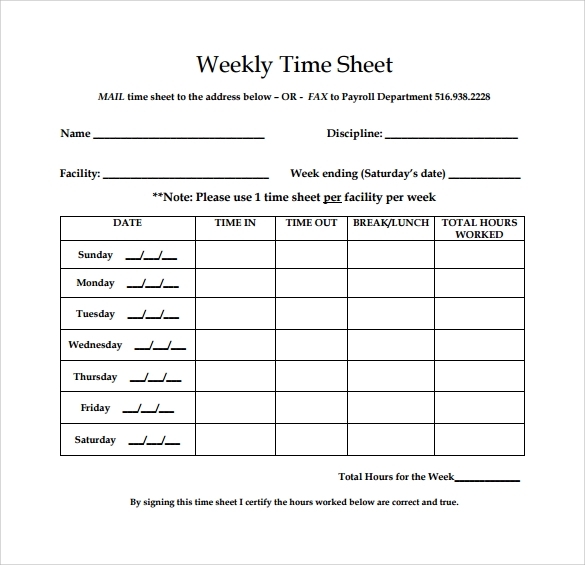 Instead of creating your own layout on your computer, you can always download these, customize them and use them any time you have a need to create a weekly timesheet.